If you have ever wanted to spread your trading wings, and understand exactly how to create your own success with a Canada Forex trading account, now if the time. At FBS [read review] new members will receive $5 for free, simply for opening an account. Free money is always a great start, and glimpse at the finer things to come. FBS [read review] also delivers a lucrative first deposit bonus match of 30% for all new members, giving you an extra $300 when you deposit $1000. It is the perfect way to test the site’s user-friendliness using free cash to get started. 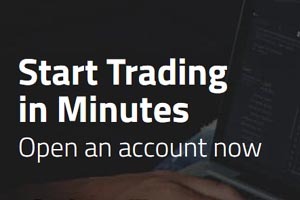 Canadian trading members can also take part in a free demo contest that allows the winners to receive real cash in their account, simply for being the best Forex trader on the site over a single month. Each participant will receive a demonstration account with $10,000. Over the month that follows, participants will use their own skills and strategies to increase their account’s bottom line, and win the prize for best Forex trader in the end. First place is $450, second is $250, third is $150 and fourth and fifth are $100 and $50, respectively. Even if you do not win, it gives you the opportunity to measure your trading skills against others who use the site. Once you are in the Forex groove, and enjoying an increase in your account’s holdings, FBS [read review] provides the luxury of a MasterCard that will allow you to deposit and withdraw money directly from your FBS account, so you will never have to wait for a bank transfer to get the cash that belongs to you. The site also offers deposit insurance that helps protect their members’ investments, delivering positivity, professionalism and the opportunity to grow your wealth all on one site.